Worldwide sales are expected to more than double YoY. Top manufacturers like Asus continue to push the boundaries of gaming monitors by offering 4K UHD 144 Hz HDR options to attract more gamers. Curved gaming monitors will also make up more than half of all gaming monitor sales by the end of this year. 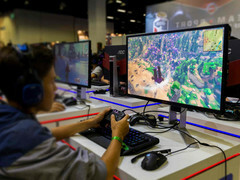 According to market analysts at Trend Force, worldwide sales of gaming monitors have been gaining ground year over year. 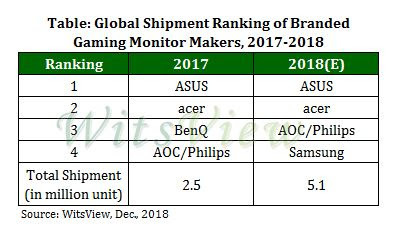 Asus and Acer continue to be the top ranking brands in terms of volume followed by AOC/Philips and Samsung. A more surprising prediction by the analytical firm is that it expects the aforementioned four brands to ship a collective 5.1 million gaming monitors by the end of this year compared to 2.5 million in 2017. Smaller brands like MSI have also registered "impressive shipments" according to the source. If true, it would mean that gamers have been picking up gaming monitors at a much quicker rate than before for one reason or another. The study identifies gaming monitors as any monitor with a native refresh rate of 100 Hz or greater. Thus, common gaming features like curved panels, 75 Hz, fast or slow response times, resolutions, and HDR compatibility were presumably irrelevant for the analysis. 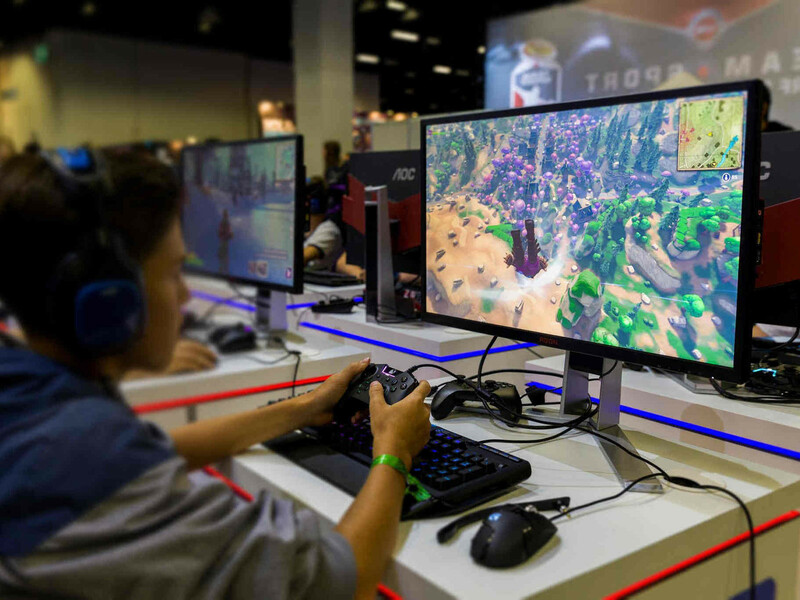 Even so, gaming hardware in general have been on the rise as of late due in part to the rise of VR and the push to resolutions and frame rates greater than 1080p and 60 FPS, respectively.